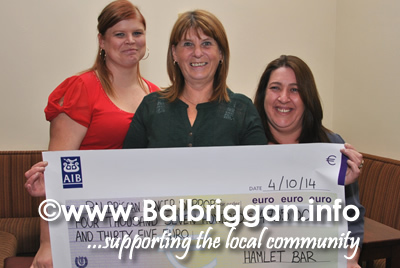 The Hamlet Bar and their customers have been busy over the last number of months raising money for the Balbriggan Cancer Support Group. 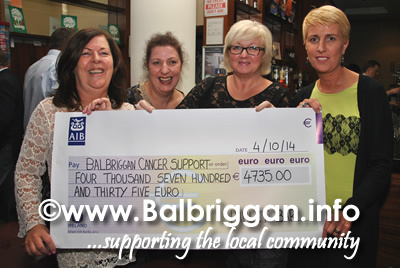 The pub has held a Charity Shave, a Charity Football March, and a Ladies Charity 5km Walk and all of the proceeds have come together in the form of a cheque for €4,735.00. 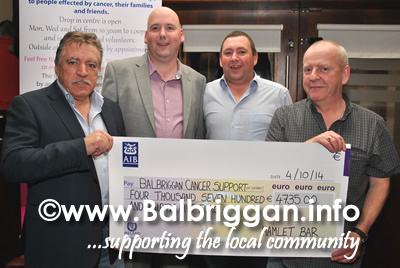 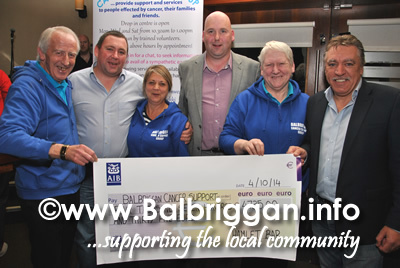 A big well done to all involved and Balbriggan Cancer Support Group would like to extend their thanks to Keith and all the staff and customers at the Hamlet for their ongoing support and generosity.